DTH Argentina: Possibility for telecommunications companies to launch a new direct to home TV service DirecTV Argentina at the end of this year. Argentina is considering allowing telecommunications companies and cable providers to offer a DTH TV service. According to sources of the telecommunications regulator Enacom, quoted by Reuters, the country "will probably issue a rule that allows telephone service providers to offer satellite television services as part of their packages at the end of the year." As of January 2018, telecommunications providers will be able to deliver pay television through cable and fiber networks to the home (FTTH). Satellite technologies would allow operators whose terrestrial networks do not allow the delivery of video to enter the recently opened market. The roadmap to enable full convergent services in Argentina was sanctioned almost a year ago, but satellite television is one of the important issues awaiting specific regulations. 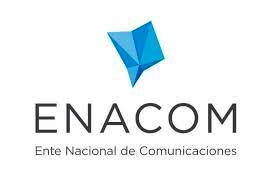 The convergent law will allow large telecommunications companies such as Telefónica, América Móvil and the future to merge Telecom-Cablevision to complete their telecommunications offerings with video packages.